Oh, Debra! These are utterly spectacular! 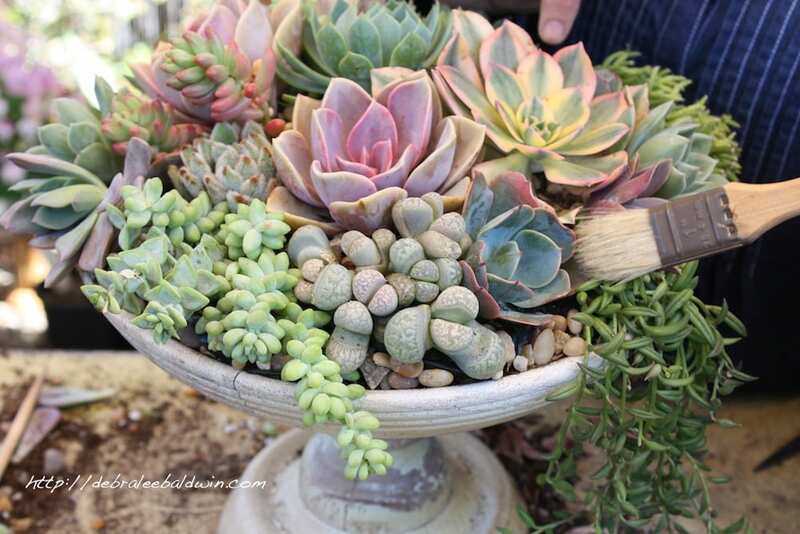 I particularly like the way you have used colored sand to coordinate with the coloring of the succulents you used in each bouquet.You even seem to mimic the complexity of the arrangement in each vase. The one with the large, dark, dramatic aeonium has a similarly large accent of the dark magenta at its base. And the one at the top, with many colors and more intricate texture similarly has a more detailed combination of smaller layers of colored sand. Thanks Kat! I love how you described it…with a designer’s eye! Credit where due…The one with a dark aeonium was done in one of my workshops by one of my students.